For as ridiculously cheap as e.l.f. Cosmetics is, they have some outstanding products. 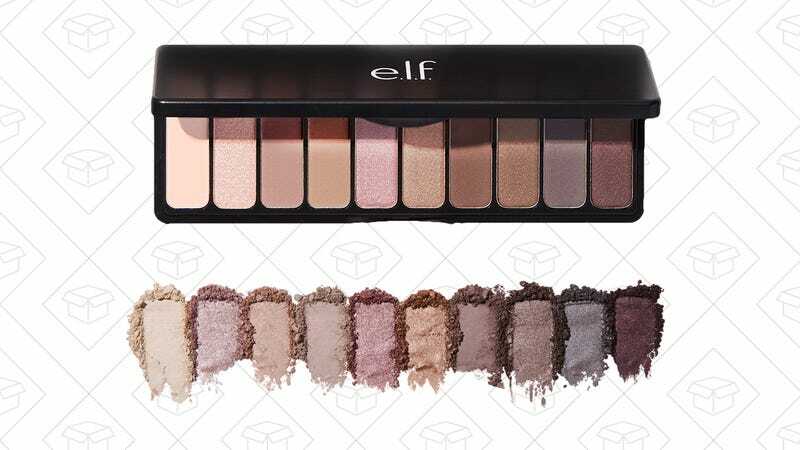 Today only, pick up their Rose Gold eyeshadow palette for 50% off, which drops it down to just $5. I have this palette and though I’m not a huge eyeshadow wearer, it’s the only palette I used regularly if I’m feeling up to it. It’s pigmented, silky, and shimmery, without being sparkly.